On the front left tail is the Adidas manufacturer’s tag with four attached flag tags reading, “46”, “CLIMALITE”, “2006-2007” and “+2 LENGTH”. 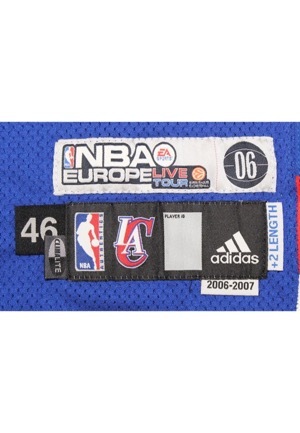 Adjacent above is a strip tag reading “NBA EUROPE LIVE TOUR 06”. On the upper left chest is the official “NBA” logo embroidered. 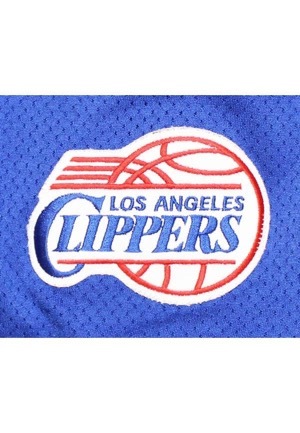 On the v-neck is a Clipper “LAC” logo embroidered. Across the chest reads “Los Angeles” in script style writing. 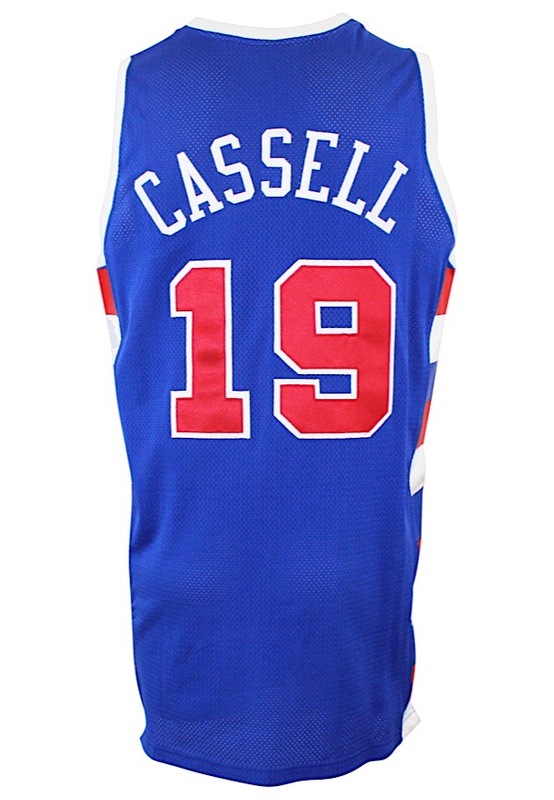 Adjacent below and on the back is the player number “19”. These are done in red on white tackle twill. Across the back reads the player name “CASSELL” in white tackle twill sewn directly into the jersey. 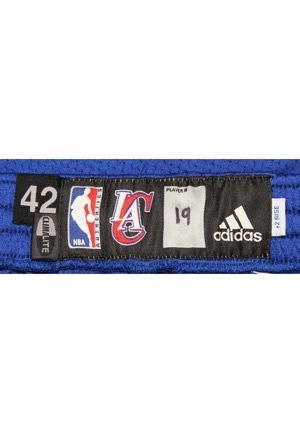 In the rear waistband of the shorts is the Adidas manufacturer’s tag with the player number “19” handwritten on it in black marker. Attached are three flag tags reading “42”, “CLIMALITE” and “+2 RISE”. 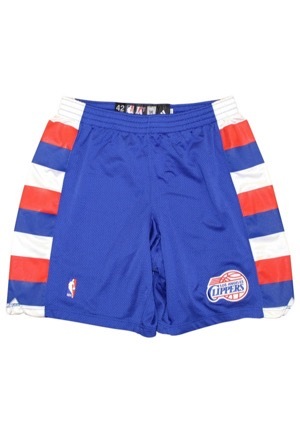 There is a Clippers logo on the left leg and on the back. On the right leg is an official “NBA” logo embroidered. 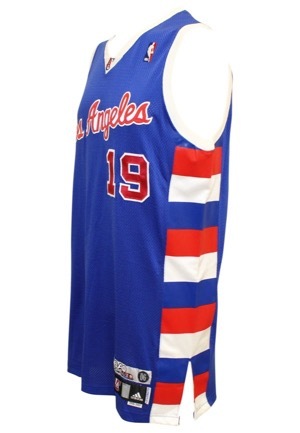 This uniform is properly tagged, was presented to us as game-used at the NBA Europe Tour and in our opinion shows appropriate use.